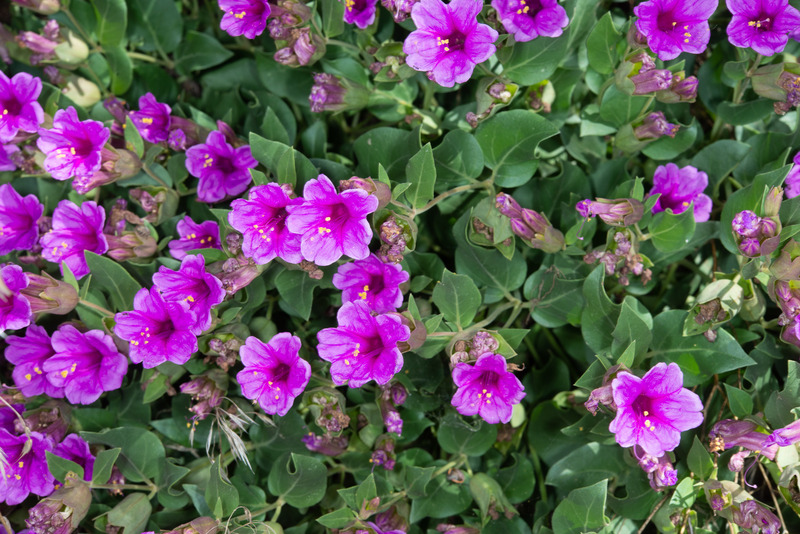 This tough perennial sinks deep roots—once established, it is very resistant to drought. 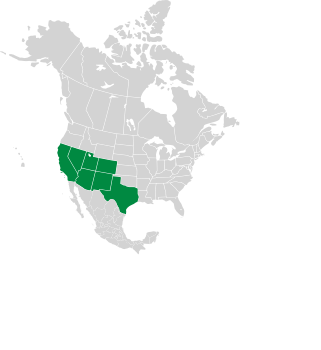 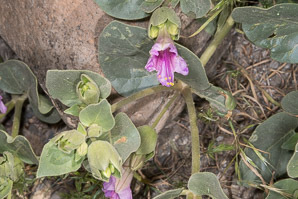 It is native to the American southwest. 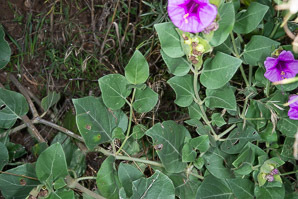 Plants: This low, bushy species forks into many branches, forming leafy clumps up to 18" (45 cm) high and 3' (91 cm) wide. 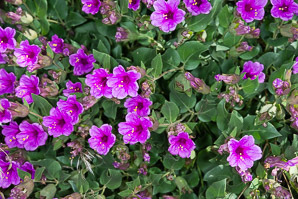 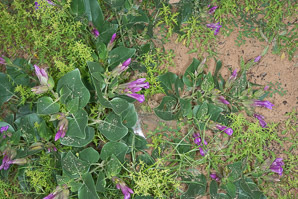 Flowers: Very attractive flowers are funnel-shaped, magenta, 1-3" (2.5-7.6 cm) long and about 1" (2.5 cm) around. The appear at leaf axils and in clumps at the ends of stems, appearing from Apr-Sep, especially after rain. 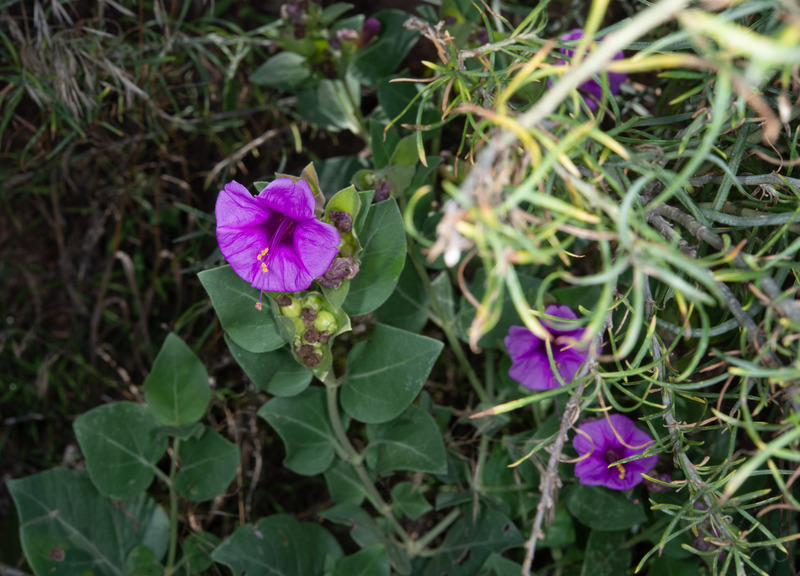 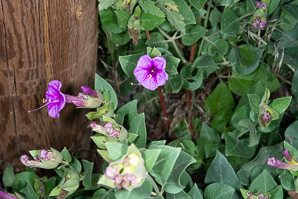 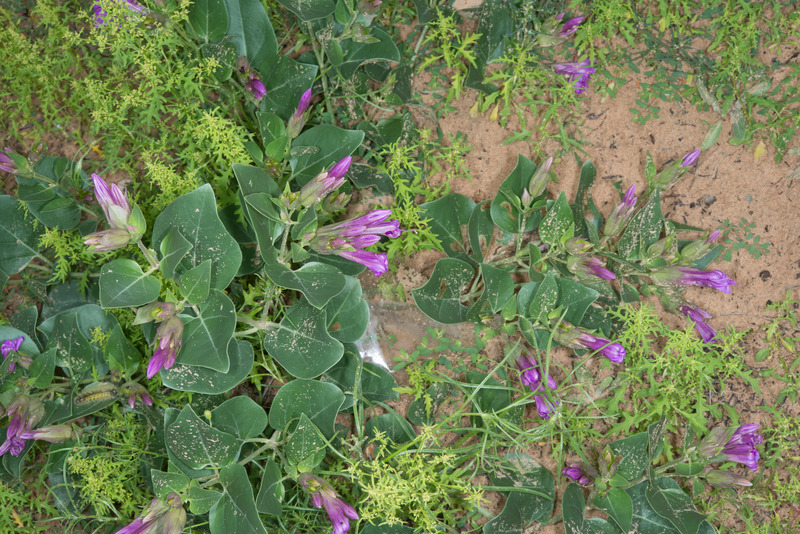 Four o’clocks are so-named because they bloom in the late afternoon. 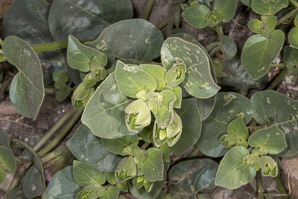 Fruits: Fruits are a small, dark seed covered with knobby or wartlike protuberances, and may feel slimy or sticky when wet. 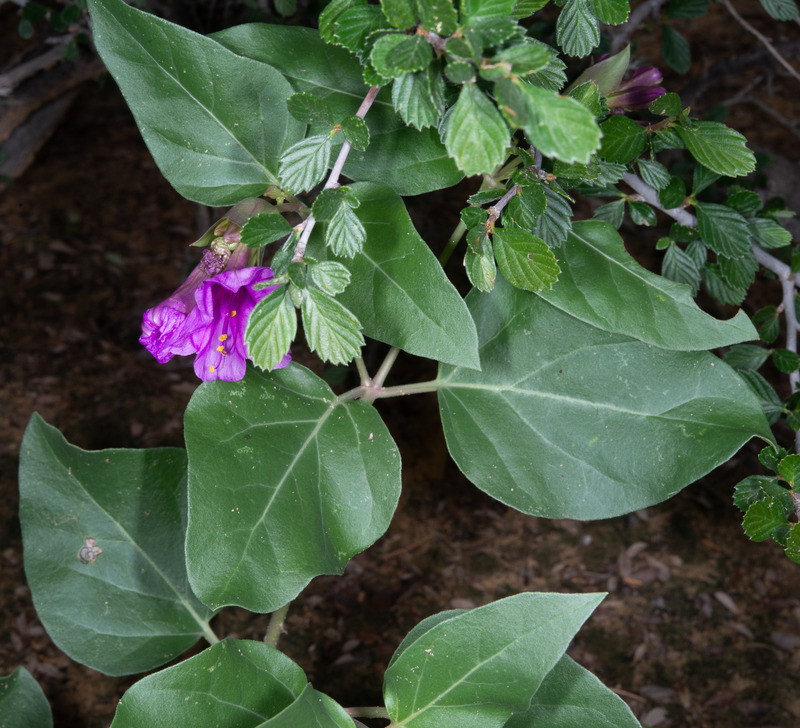 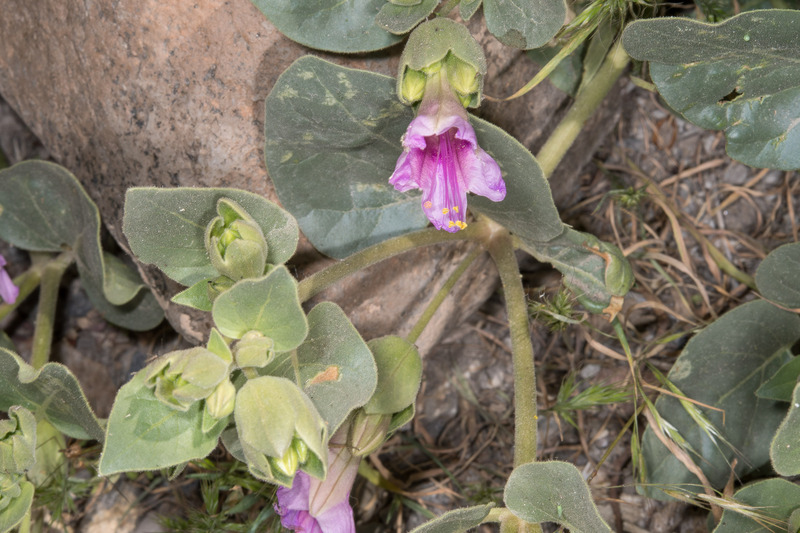 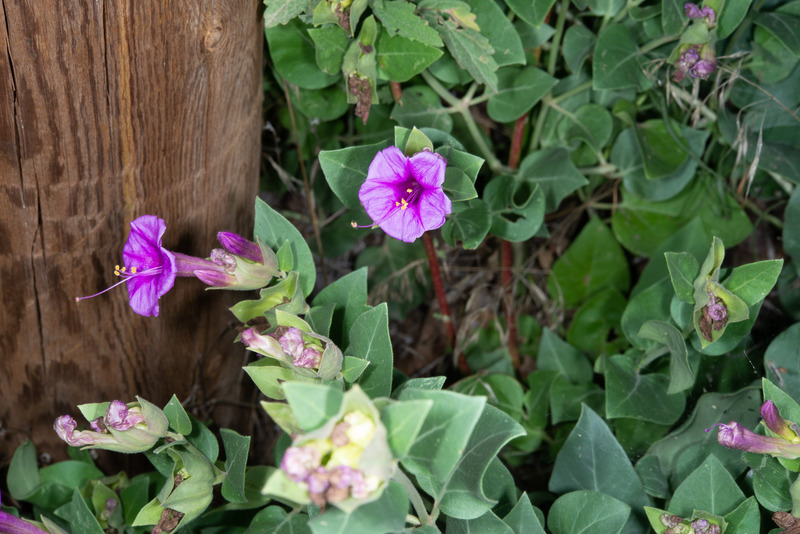 Mirabilis multiflora description by Thomas H. Kent, last updated 12 Oct 2018.